Thank you to the Dutch Obedience Society for the invitation to judge their Championship show. I was accompanied by two of my Crufts team, Shirley Hayward and Jacky Roddick. Thank you for your company and thank you to Jacky for your excellent stewarding once again and making everyone feel at ease. We were very well looked after and thoroughly enjoyed our weekend. The Championship was held at lovely large hall with a large carpeted ring, which made a good working surface. It was very nice to have a parade of all the working dogs on both days helping to make the show very special for everyone. With having one large ring everyone was able to watch all the dogs working. There was a very good atmosphere at the show and all the competitors, although a little nervous, appeared to enjoy the days and working their dogs. 1ST Carolin Ellerhausen with Fellowscreek Ginger Red Final (Scarlet), Australian Shepherd. A very good round with few errors heel on lead. Not quite so confidant Heel free, even so very neat work. Very well done and congratulations on your win. 2ND Gerda v.d. Pluijm with Quincy, Berner Sennenhond Another good round, only minor errors in heel on lead. Was more confident, with less errors heel free. 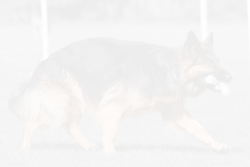 Good recall and retrieve. Well done. 3RD Birgit Funk with Sporty Springers Jesters Cap (Capper), Engelse Springer Spaniel. 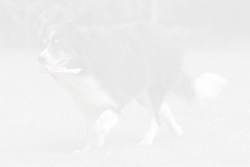 Produced the best heelwork in the class but was very over enthusiastic in the retrieve. Well done. 4TH Loes Houmes with Seven de Bruine Buck (Nala), Groenendaeler A little loose and loosing position on turns at times. Nice recall and retrieve. Well done. 5TH Birgit Funk with Sporty Springers Fireworx By Laurin (Laurin) Two dogs in the line up can’t be bad. Worked well, just a little loose on turns. 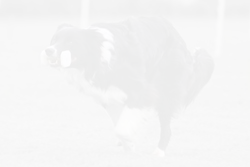 A good retrieve and a very keen recall. Well Done. 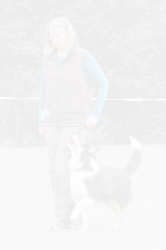 6TH Marja van Eck with Robrensis Harmony (Monty), Shetland Sheepdog. A little lazy on left turns today and got excited and adjusted position on presents on recall and retrieve. Well done. 1ST Greet Vink with Candlewind Twospots (Beryl), Border Collie. Very good heel work at all paces. A very good sendaway and retrieve. I believe this makes you C only. Congratulations on your win. 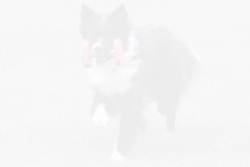 2ND Tiny Bouchaut with Razzle-Dazzle, Border Collie. Heelwork was good just loosing position on some turns. Very good sendaway and retrieve. Well done. 1st Karin Stegmeijer with Absolutely Fabulous McCay. Working Sheepdog. A stylish dog who has been well trained. 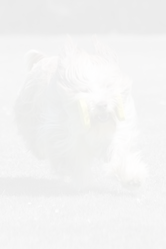 Good heelwork, just bits and pieces on sendaway and retrieve, finishing with a good scent. Congratulations on your win. 2nd Ria McGovern with OB CH Beckim Surprise Surprise. Working Sheepdog. A very good round, worked well and held a good position throughout. Beautifully handled. Unfortunate to miss apposition in DC, which proved costly. Well done. 3rd Guus Scholten with Danesway Duet (Gucci). Working Sheepdog. 4th Christina Pestka with Argo. 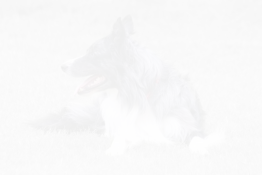 Border Collie. Good heel work, missed a position in DC, also had a bit of a messy scent. Well done. 5th Angela Kroon with Absolute Groovy. Working Sheepdog. Good heelwork, a little over keen on the pick up on positions. Also very much enjoyed the sendaway and scent, which was costly. Well done. 6th Guss Scholten with Halligalli Moviestar (Coco) Working Sheepdog. Another good round just spoilt by a missed ASSD position and a DC position round. Well done.